It’s no secret that sleep is beneficial to our overarching health. More often than not, rest and rejuvenation are not given the true credit it deserves. In the age of long days and never enough hours, sleep is often one of the first sacrifices people will make for additional time. Quality rest can already feel like a rare commodity, which is constantly in jeopardy and being trimmed down. It is scientifically important that one does not skimp on sleep. Beauty rest is beautiful and adequate sleep helps one to not only feel great but also to look great, build stronger muscles, avoid illnesses, recover (physically, mentally, & emotionally), and increase overall focus, productivity and performance. 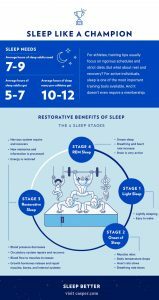 Just in case you need convincing that 4 hours of shut-eye per night isn’t cutting it, here are the most common benefits of a healthy 7-9 hours of rest. Increased human growth hormone for muscle repair, strengthening, and growth. Reduced hunger, and the ability to resist cravings. Better memory, concentration, and emotional control. Happier mood and reduced depression or emotional instability. Higher levels of energy and overall physical performance. Although it may be tempting to trade sleep for more hours of productivity, this strategy can actually do the opposite. Insufficient rest will leave us feeling increasingly tired and less focused. Increased appetite is also a common side effect of acute sleep deprivation; the body will try to create the energy it lacks resulting in long-term weight gain when poor sleep habits become a persistent pattern. Your mental alertness will also take a hit without prioritized rest — people tend to work slower, remember less accurately, and perform their daily duties without true attention to detail. By sleeping more, you may get the same amount done in the day but also in less time. 1. Put down the tablets, phones, computers, and other electronics. Devices emit blue light which can hinder your ability to fall asleep easily. Limit screen time an hour before bedtime. 2. Turn down lights before bed. The ideal sleeping environment is dark, quiet and serene. Set your thermostat between 60 – 67 degrees. The body temperature will drop in order to enter deeper stages of sleep. A room too hot or too cold will greatly affect your ability to doze away. 3. Embrace lavender scents. Diffusing essential oil or spritzing bed spray can help evoke feelings of rest. Evening baths, books, and tea too – create a familiar and restful routine to revisit each night. 4. Watch what you put into your body. 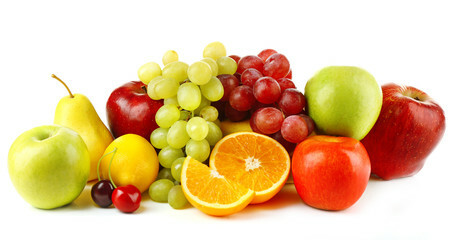 Here are foods and drinks that help or hinder the ability to sleep. 5. Consider an acupressure mat which you’ll lie on for 10-15 minutes before getting into bed. The mat is a mild derivative of acupuncture – stimulating particular pressure points up and down your back to alleviate stress and increase sleep success. 6. Invest in a supportive quality mattress (Not too firm, not too soft). Thanks for reading. Please share this to all your friends on social media.